Left to Right:- Don Perry, Vic Clarke, Club President, presenting the trophy, Tony Waldron, Alan Smith, and Paul Panton. On a glorious spring day in May we held our Annual Charity Golf Competition in aid of Cancer Research UK. Seventeen fourball teams entered the fray and the standard of the golf of some teams matched the quality of the weather – simply outstanding. 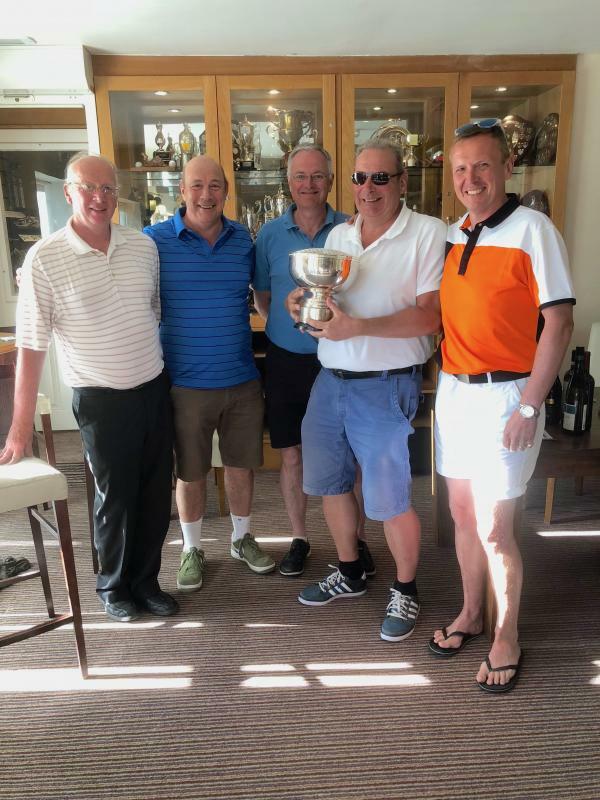 None more so than overall winners led by Alan Smith seen here with his team members and the Challenge Cup which they had just received from President Vic. Vic said “It was an exceptionally enjoyable day in every way and I am pleased to say that £1200 was raised in aid of Cancer Research UK. I’d like to thank everyone involved – competitors, sponsors, fund raisers, the organising committee and Farrington staff alike - for making this such a memorable day. 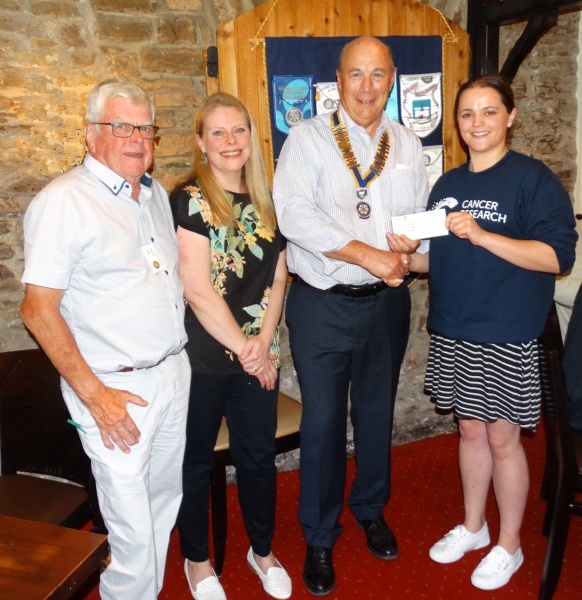 Pictured below is President Vic presenting a cheque for £1200 to Jess Davis from Cancer Research UK. Our very own Jim Farmer is also pictured as is his daughter, Dr Hayley Farmer-Hall, a leading CRUK Research Scientist, who gave us a progress report on her work with her team on a new treatment vaccine which has just moved into a phase 1 clinical trial with patients who have small scale lung cancer.